Amazon India selling Sattva Classic EVSD00343 XXXL Bean Bag without Beans (Black and Red) Rs. 399 only which is worth for Rs 1199 best and lowest price online.You can follow the below steps to buy this product at their deal price.Keep Visiting dealsheaven.in for more Best offers ,hot online deals, promo code, free deals online,free samples, coupons and discount . 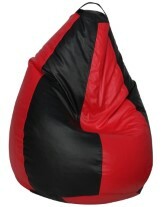 How to buy Sattva Classic EVSD00343 XXXL Bean Bag without Beans (Black and Red) ?